On this day (November 4th) an entrepreneur/hip hop mogul who goes by many names, Sean “P Diddy” Combs “Puff Daddy” “Puffy” “Diddy” “P Diddy Bop“, was born. I’ve always admired Diddy for his work ethic and “hustle by any means” philosophy. No matter what obstacles get in his way, from the demise of his musical talents to industry feuds, Diddy keeps his eyes on the prize. Puff Daddy stays about his coins by all means. And Let’s be real, his coins are far from chump change. Pour up a little Ciroc (if you’re of age) and take wind of these timeless hustler anthems from no other than Puffy Daddy. No matter how many times his name has changed, the hustle remains the same. Almost 20 years later, this song still bumps in the club. You can catch me Diddy bopping and/or spitting Kim’s bars word for word when this song plays. Uh huh, yeah. “10 years from now we’ll still be on top” CHECK…18 years later actually. Feel old yet? Diddy and Mase have been serving male bestie goals for a couple decades now. Growing up in Harlem, I can’t tell you how many times I’ve seen a Harlem shake battle to this song and dudes actually Harlem shaking and letting their pants fall to the ground. Honesty, Diddy dropped Hello Good Morning just to let us know that he still got it. 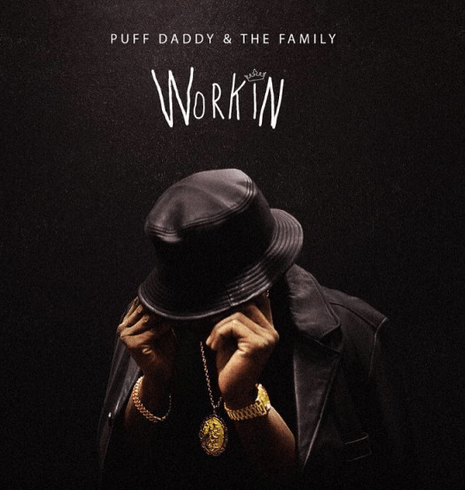 Hustling out of Harlem, Diddy dropped some bars to to give us a reminder of who the eff he is…again. Take that,Take that.